Now, unless you’ve been living under a space rock for the last 13 years – you’ve surely heard about or even tried EvE once on your own. It’s a massive space MMO that is strictly player driven by every means. From the simplest tasks like mining and providing basic materials for industrial production to running major space corporations that own vast areas of space guarded by gigantic player built structures. Everything in EvE is player created. Even though the game might not boast with millions of players with active subscription – it is packed with veteran and newbro players alike that have just tipped their clone-toes into space of New Eden. The Alpha Clone State is the new base state for all clones and it will be available to any character in New Eden at any time. Clones in the Alpha state will be able to train and use a specific set of skills including tech one Frigates, Destroyers and Cruisers for the chosen faction along with essential weapons and modules. Alphas will also train skills at a reduced rate compared to Omegas. The Omega Clone State is obtained by augmenting basic clones using neural expanders and cerebral acceleration technology, granting unlimited skill access. Omega clone state will behave exactly as subscribed characters do now. Using a PLEX (Pilot License Extension) or subscribing will give your Alpha Clone the Omega status. Basically this means EvE will be switching the current 14days trial for an unlimited free-to-play account that will come with limited skill sets and ship classes based on the faction chosen upon character creation. You can find the full official Q&A below. Q: Where can I see what skills Alphas will be allowed to train and use? A: The full list can be found in the official CCP blog post. Note that it is a work in progress and we will be adjusting the list based on your feedback. Q: If I upgrade my account to Omega does it affect all my characters? A: Yes, all the characters on an account share a clone state. Note that you can still only train one character at a time, per account (unless you have a multiple character training certificate). Q: Can Alpha clones inject and extract skills? A: You can Inject skills regardless of your clone state. Currently, we are planning to require Omega state for skill extraction and also not allow the extraction of skills in the Alpha set. Q: Can other players see my clone state? A: No, only you will be able to see your clone state. We think that seeing the clone state of other players would provide too much strategic value to make it public. Q: If I used to play EVE, do I need to do anything to activate Alpha State? A: No, any unsubscribed account will automatically be set to Alpha State. Q: What happens if I log in as an Alpha but I’m in a ship with required Omega skills? A: You will be allowed to fly the ship until the next time you dock, but any ship bonuses or attributes will not gain the benefits of Omega skills. Q: What happens if I log as an Alpha but I have modules fit that require Omega skills? A: Those modules will be set offline when you log in. Q: What happens if my training queue contains Omega skills but I am in Alpha State? A: We will pause your training queue and it will need to be manually restarted once the Omega skills are removed or the subscription is renewed. Q: Won’t suicide ganking using free characters be a major problem? A: We don’t think clone states will have much impact on suicide ganking or other harassment in high-sec. But, we will be paying very close attention and if this becomes an issue we can pursue options to improve the situation such as turning safety’s on for Alphas in high sec or making changes to the allowed skills list. Q: What about botting? Won’t it get out of control? A: Botting and multiplexing are a violation of the EULA and will be investigated and persecuted as usual under these changes. We don’t expect a significant increase in this kind of activity but we will be amping up security to make sure we don’t have problems. A: We’ve deliberately tried to limit this behavior using the skills allowed in the Alpha list. It should be very hard to scale alt farms in a way that hurts the ecosystem. But, this is something we need your help on though so if you see the potential for abuse please let us know. Q: Why are Alpha skills limited to the character’s faction? A: We feel that it's important to keep the allowed skills list from getting too large but would rather there was depth within their chosen faction than broad options to cross into other factions. This also reserves pirate faction ships as an Omega only option, which fits considering their power and complexity. Finally, we think focusing on one faction for new characters will help lower the early game complexity. Q: Why are Alpha skills limited to Cruisers and lower? A: We think this set of ships gives you the chance to have a meaningful impact on almost every activity and environment in the game without causing any problems in the ecosystem. Bigger and more advanced ships could easily lead to various forms of farming and abuse that would harm the experience for subscribed EVE players. That said, we expect to make changes based on feedback and on activity once the feature is released. Q: Will you start charging for expansions or other new content? A: No, we will continue to develop and release expansions and features for free as we always have. Q: Will the price of subscription change? Q: Will there be things I used to get as part of my subscription that I will now have to pay separately for? A: No – if you are subscribed to EVE Online, you will have all the same benefits and resources available to you as you always have as a subscriber. Q: Will customer support work the same for Alpha and Omega states? A: We are creating and implementing concrete plans to make sure we can provide the same level of support for all of our players. Q: Will Alphas be allowed on test servers? A: Not most of the time, but possibly for certain events. Q: What happens if my subscription ends while I'm logged in, will I be converted to Alpha in the middle of a fight? A: In these cases, you will remain an Omega until the next time you log out. We won't ever turn skills off during the middle of a session. 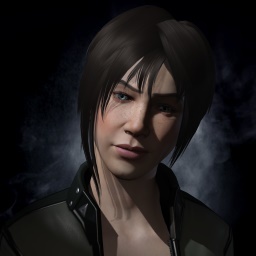 I really wasn't sure if this was a good choice at first, but it really looks like CCP is doing all they can to bring new people into EvE. The whole "new player experience" is being re-done with a new voiced tutorial for example. And even some butthurt people cry about EvE community - in reality it's actually very tight and personal. especially when you hit a nullsec corp.